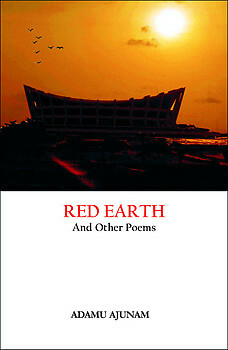 Red Earth is a poet's conscious effort at capturing the character of the Nigerian society and the challenges faced by the country?s citizens in the task of nation building. The many differences in tribe and tongue notwithstanding, the poet posits that lack of good leadership has been the malaise that has continued to plague this prosperous country, and which has brought the preponderant majority of its peoples to the brink of poverty in spite of the abundant human and natural resources the country has been blessed with. However, the spirit behind this collection of poems is positive?one of optimism, aspiration and hope?to awaken the giant within to redemption of self? to overcome the various forces that have held the nation down for so long and enable her scale new and hitherto unfathomable heights. The title poem "Red Earth" depicts and extols the beauty of the country. It underscores the necessity for Nigerians to begin to see through the facades of "civilization? and "globalization?, to overcome their addictive and poisonous side-effects, to embrace the nation?s rich cultural heritage and direct these and the homeland?s abundant resources into uplifting the country and ensuring her genuine progress and development among the world?s comity of nations. Most of the poems are written in free verse to capture the vibrancy, resilience and vitality of this great nation and her diverse peoples. Adamu Ajunam was born in Kaduna in 1950 and has travelled round the six geo?political zones of Nigeria and outside its shores pursuing his passion for photography. A successful engineer, he has to his credit two well-documented travel guides on Nigeria, Eko-the Navel of a Giant and Nigeria - A Harvest of Nature. Ajunam lives and works in Lagos.